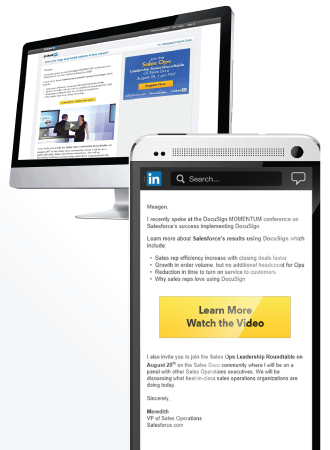 LinkedIn knows that many of its users are coming onto the platform from their mobile device. Actually, more than half of LinkedIn Inbox pageviews are currently happening on mobile devices according to the company itself. So it seems natural that LinkedIn will now make Sponsored InMail on mobile. More than half of #LinkedIn Inbox pageviews are currently happening on mobile devices. Reaching members directly on their mobile creates a great opportunity for advertisers to reach LinkedIn members where they engage the most, in their inbox and on their mobile phones. But what are Sponsored InMails exactly? #LinkedIn members seek and value personalized content delivered right to their inboxes. I think this a great move by LinkedIn and indeed a great opportunity for marketers to deliver great personalized content right on a user’s mobile device. What do you think?